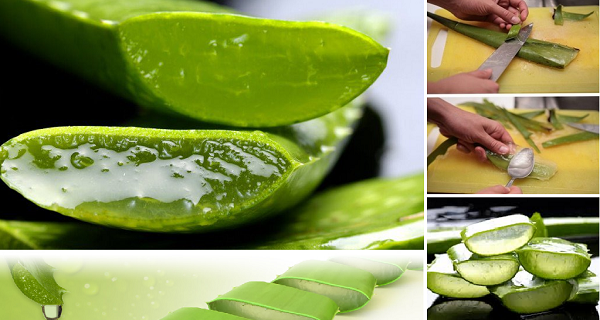 Aloe Vera is a plant which is widely known for its wide array of amazing healing properties. It has been used for centuries. Even the Egyptians called it the plant of immortality. Aloe Vera is packed with over 200 biologically active and naturally occurring compounds. These include vitamins, amino acids, enzymes, polysaccharides and minerals that stimulate nutrient absorption. Rinse the outer skin of the leaves and knife. Now place the cut leaves in a bowl at a 45 degree angle for 15 minutes or so. This step enables the dark yellow, very bitter Aloe juice or latex to drain out, which is found in the cells located just under the surface of the leaf. The latex is a very powerful laxative, which can irritate the intestines. The laxative effect could cause potassium levels to become low. If you want to use it topically, clean and cut the leaf lengthwise and rub the gel on the wound few times a day, until it is completely healed. For medicinal use, take 30 ml of the gel, 3 times a the day. The first step in aloe vera plant care is to realize that this plant is a succulent. Like cacti, succulents do best in dry conditions. When growing aloe vera plants, plant them in a cactus potting soil mix or a regular potting soil that has been amended with additional perlite or building sand. Also, make sure that the pot has plenty of drainage holes. Aloe vera plants cannot tolerate standing water. One important thing in the care of aloe vera houseplants is that they have proper light. Aloe vera plants need bright light, so they do best in south- or west-facing windows. Another important part of how to grow an aloe plant is to water the plant properly. The soil of the aloe vera plant should be allowed to go completely dry before being watered. When the aloe plant is watered, the soil should be thoroughly drenched, but the water should be allowed to drain freely from the soil. The most common reason an aloe plant dies is that the owners water too often or do not allow the water to drain. Do not make this mistake when taking care of aloe houseplants. You can fertilize your aloe vera plant, but aloes generally don’tA?need to be fertilized. If you decide to add fertilizing to part of your aloe vera plant care routine, aloe vera plants should be fertilized once a year in the spring. You can use a phosphorus-heavy, water-based fertilizer at half strength. Growing aloe vera houseplants is not only easy but can also provide your family with a plant that can help treat minor burns and rashes. Now that you know a little more about how to care for an aloe vera plant, you need never be without this lovely and helpful plant.